“The definition of insanity is doing the same thing over and over again while expecting different results.” – Albert Einstein. Einstein was on the right track, and it’s truly surprising how many businesses are actually “insane” when it comes to their social media marketing. You do the same thing, day after day, week after week, expecting to see different results. That way lies failure. Instead, learn from your current marketing efforts and make the necessary changes to ensure that you see better returns in the future. 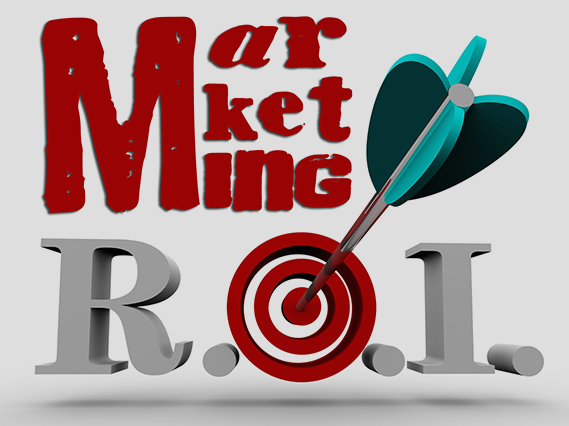 The returns on your SMM efforts should actually be used to inform future campaigns. When most business owners talk about ROI, they’re talking about earning something from their efforts (even if that doesn’t translate directly into financial terms). However, the return you see on your SMM campaigns (or the lack of return) can be used to help determine how your campaigns should change and evolve over time. Here’s an example. Let’s say you saw a modest return on your SMM campaign in terms of website visits, but you didn’t see the anticipated number of sales from those visits. Despite being part and parcel of social media marketing (SMM is great for building awareness, but rarely translates into direct sales), this information can tell you a lot about your audience, what they want, and what triggers a response. For instance, by tracking visits to specific pages by posts, you’ll be able to determine what sort of content makes your audience want to take action. Did the visit originate on a post about a limited time sale? Did it stem from an update about a new product release? Did it come from a customer playing advocate on your behalf? Track this information and use it to your advantage. Another way that your returns can be used to tailor future SMM campaigns is in determining which networks are worth your time. Despite the explosion of social networks today, they’re not all created equal, and chances are good that your audience lives more on one network than others. You need to determine which that is. Is it Facebook? Possibly. However, it might be LinkedIn, or Twitter, or even Pinterest. It really depends on what your company offers and who your ideal customer is. Create customer personas and determine where they’re more likely to spend their time online. Then, focus your SMM efforts on those sites. Yet another example is interaction. Make no mistake – this is an important return on your investment. After all, without interaction, your SMM efforts are futile. So, it’s both a return and a metric by which to judge your success. What gets your audience talking? What incites shares and comments? What sort of content do they find valuable? With this information, you can create more engaging content and see greater interaction with your audience. If your SMM efforts aren’t working, you cannot afford to keep doing the same thing. Use your social media returns to determine where and how your campaigns should evolve.